We wish that the secret to passing your driver’s test was as easy as giving you a few pieces of advice. The truth is that everything, from your excitement to what you ate for breakfast the morning of your test, can impact your results. Unfortunately, you can’t control everything about your driver’s test and magically make it go perfectly. However, there are a few things that you can do to minimize the errors and increase the chances of you receiving your driver’s license on the first try. 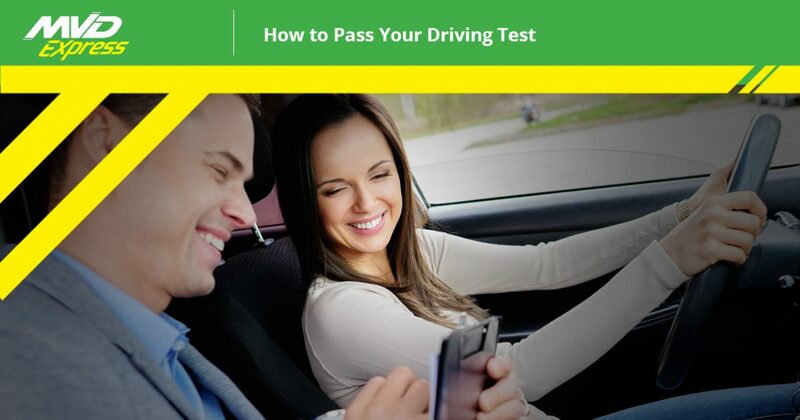 There is a lot that you need to do in order to pass your driver’s test, but one of the best things that you can do is practice. You can’t expect to walk into the MVD and pass your test without any practice driving behind the wheel. In order to receive your license, you will need to complete a driver’s education course. However, once you complete the course, it’s important that you continue to drive with a licensed driver and practice all of the skills that you learned during the course. This will help you feel more confident and give you the opportunity to get better at certain skills with which you might be struggling. Once you have spent a generous amount of time practicing and you feel confident behind the wheel, you can schedule your driver’s test at MVD Express. At MVD Express, we make it easy to complete your driver’s test in a timely manner. Traditional MVDs make you wait hours until an evaluator is ready, and when the time finally comes to take your test, it may result in a few weeks before you receive your actual license. Luckily, if you live in New Mexico, MVD Express allows you to schedule your appointment in advance, meaning that you won’t have to wait hours to take your test. Instead, you can walk right in, take your test, and pass with flying colors! No matter if you need to take your driver’s test, transfer titles, receive a VIN inspection, or any other MVD service, you can expect nothing but the best from MVD Express. We pride ourselves on offering fast, friendly service, and we are more than happy to help you with all of your MVD needs. Browse our website to learn more about everything that we have to offer, and when you’re ready, contact MVD Express to schedule an appointment to take your driver’s test.